The central city will host “Sunshine of March”, the first installation of umbrellas and paintings on umbrella, from March 24-26. The municipal Event and Festival Organising centre said artists from the city will use hundreds of colourful umbrellas to create a garden of trees and flowers at the East Side Park of the Rồng (Dragon) Bridge on Trần Hưng Đạo Street from 8am till 9pm, Friday to Sunday next week. The umbrella installation debut will happen alongside a series regular art performances on weekend nights on the banks of the Hàn River. Artists will also paint umbrellas at the park from 3pm to 6pm on March 25, and an exhibition of painted umbrellas will be held on Sunday. The centre plans to host the event regularly on the last weekend (Friday to Sunday) of every month. Outdoor night performances including street music, flamenco, traditional music, wood-wind instrument performance (clarinet and trumpet) and tuồng (classic drama) have been held every weekend since 2014. After the performance, visitors can join an exchange with artists including trying on costumes and make-up done for tuồng’s characters. The city hosted 5.6 million tourists last year, of which 1.67 million were foreigners. 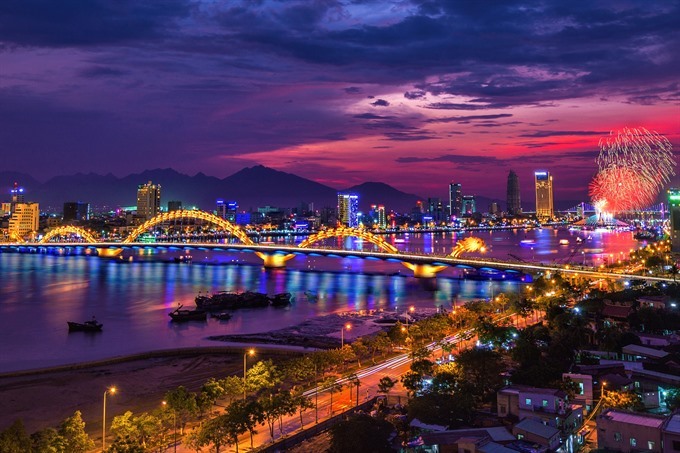 In 2016, Đà Nẵng was named among the Top 10 Holiday Destinations in Asia by Smart Travel Asia – an online tourism magazine for Asia, and the city won an award for Asia’s Leading Festival and Event at the World Travel Awards ceremony for tourism.